Kenny has already done full upgrades on 3 of my guitars (1 acoustic and 2 electrics) and is working on my guitar number 4 right now. Guitar #1 was a beautiful acoustic EJ-200 that I had L.R Baggs Anthem SL pickups and bone nut installed. Before this had buzz fret all over the place and the action wasn’t very good. The setup made it excellent to play and the bone nut made it more mellow and defined. Guitar #2 was a LP. This was my favourite guitar, but it really needed a setup. The work done was changing the bridge for tone-pros, adding bone nut, installing slash pickups and changing all the electronics. The first time that I plugged it back on my equipment I couldn’t believe it. No more muddy tones on the neck pickup (that I used to avoid using before) and really really melodic sounds. All the beautiful dark LP sounds are still there, but now they have more definition and it’s possible to work much better with distortion. It’s pure LP classic rock magic. Guitar #3 was a Strat. I never liked much Strats but decided to experiment with one. Upgrade this time was a Babicz bridge, texas special pickups, all electronics. This guitar had a special awful action before and now the action is so much better that it took me a while to get used to. 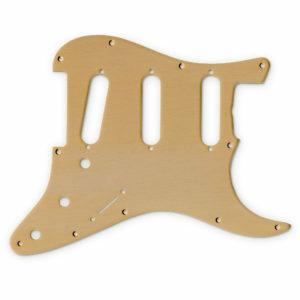 Also the new bridge improved a lot of the sustain and intonation. For the first time I really like a Strat, the pickups have real character and it’s chimey in a really good way. The guitar sounds great with clean tones (really like a bell) and with some overdrive the distortion is agressive and still defined, just great. Now I understant what Strats are about. I’m really excited to hear how the Tele will sound. Now it’s back to check if I like more the LP or the Strat today.